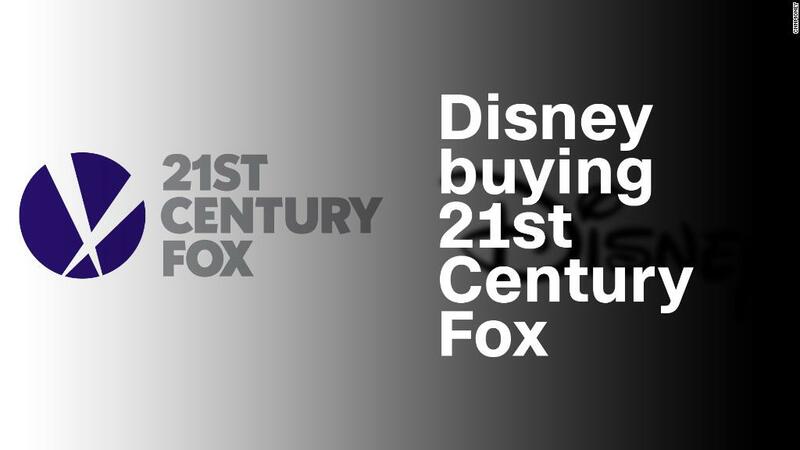 A month after it sued to block AT&T's purchase of Time Warner, President Trump's Justice Department has another big media deal to scrutinize: Disney's planned acquisition of most of 21st Century Fox. Combining all those channels and film franchises could create problems for consumers. The Justice Department will consider to what extent the new company could dominate the market, using its increased leverage to force cable companies and other distributors to pay higher rates to carry Disney and Fox content. For example, could the combined company negotiate with Comcast by upping the price for FX, threatening to pull ESPN off the air if Comcast refuses to pay the higher rate? That is the kind of scenario regulators will be investigating. These so-called horizontal mergers between competitors tend to generate even more scrutiny than vertical mergers like the AT&T-Time Warner deal. In vertical mergers, one company adds a line of business by buying another, but -- at least in theory -- doesn't get rid of any competition. "Going from six to five movie studios will be a good test to see if the Justice Department's view of horizontal mergers changes," said John Kwoka, antitrust expert and professor of economics at Northeastern University. "The agency has taken a somewhat more vigorous approach to horizontal mergers in past years. How that portends for the future, we'll find out." And the Trump Justice Department signaled that it won't be an antitrust pushover: It shocked the business world when it sued to block AT&T and Time Warner. Trump objected to that deal before it was even announced. In October 2016, he said it would put "too much concentration of power in the hands of too few." Last month, after the Justice Department sued to stop the deal, Trump said aboard Air Force One: "I do feel you should have as many news outlets as you can -- especially since so many are fake." AT&T CEO Randall Stephenson has said that Trump's criticism of CNN's news coverage is "the elephant in the room." Trump is supportive of the Disney and Fox deal, and he called Fox Chairman Rupert Murdoch to congratulate him, Press Secretary Sarah Sanders said Thursday. She said Trump believes the deal will create jobs, but she did not specify how. The Justice Department did not return a call for comment about the Disney-Fox deal. But regulators are sure to pepper both companies with questions about their rationale. Disney has been trying to future-proof itself as streaming video competitors like Netflix grow. In its statement about the merger, Disney didn't mention any competitor by name, but it said it would "accelerate its use of innovative technologies." That might not pass regulatory muster in the new antitrust era. The Justice Department recently indicated that it is particularly sour on "defensive mergers," meant to stave off competition. Just in the past two years, under the Trump and Obama administrations, antitrust regulators blocked mergers between Staples and OfficeDepot, Haliburton and Baker Hughes, Aetna and Humana, and Anthem and Cigna -- all of which claimed they needed to combine because of difficult market conditions. Yet each deal is unique, and there are several reasons the Justice Department could allow Disney to buy Fox. With the notable exception of superhero films, the two movie studios produce different types of content. Disney's movies are typically geared toward children. Fox has a successful but far less prolific animation studio, and its primary focus is action-adventure movies and adult comedies. Similarly, Disney's cable channels revolve around sports and family entertainment. Fox's lineup focuses on comedy, intrigue and education. They both have sports networks, but Fox's are regional, and Disney's ESPN is national. Regulators could see the company's assets as complementary, rather than competitive. And the Justice Department could even view one major part of the deal as positive for the media industry: the companies' combined stake in Hulu. Currently, Disney and Fox each own 30% of Hulu, which is a third-place but budding streaming player in a market dominated by Netflix and Amazon. By combining its stake with Fox's, Disney would win majority control of Hulu and could turn it into the go-to place to watch Star Wars, X-Men, Disney Princesses and Kung Fu Panda. That could put pressure on Netflix and Amazon to lower their prices. But making Disney and Fox content exclusive to Hulu could also force customers to pay for several services to view all their favorite movies and shows. Regulators would examine that too. "By making Hulu more robust, the Justice Department could view the deal as pro-competitive," said Jonathan Barnett, a professor of media antitrust law at USC Gould Law School. "Then again, that's not necessarily beneficial to consumers." Without a conclusion to the AT&T and Time Warner case, it's difficult to fully grasp how regulators would react to a Disney-Fox deal. But in the rapidly changing media landscape, time is of the essence.